There’s a hunger inside you, and you know this hunger very well. You crave a taste of all your favorite Mexican dishes, as well as your breakfast and brunch favorites. When this craving becomes too much to handle, it’s time for you and your friends to join us for the best Mexican brunch near me in Dallas at Iron Cactus Mexican Grill & Margarita Bar. Every weekend, you’ll be treated to an all you can eat buffet of all the dishes your heart (and stomach) desires! Each Sunday, Iron Cactus puts together a special brunch that combines all of your Mexican favorites, like enchiladas, tamales, huevos rancheros, chilaquiles and more. 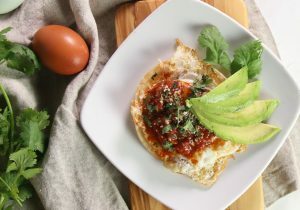 Joining these fabulous dishes at this Mexican brunch near me in Dallas are brunch classics, like waffles, bacon, sausage, cereal, fruit and our ever popular build your own omelet bar! Undoubtedly you will be able to find anything you like to satiate your hunger here at Iron Cactus. If this sounds like the Mexican brunch near me in Dallas for you, then join us each Sunday between 10am and 3pm to partake in this vast smorgasbord of Mexican delights. One of the most reasonably-priced brunches around, the Iron Cactus brunch will only set you back $17.99 per person and $13.99 for children. On special holiday occasions the price goes up just a touch to reflect the specialty items we add to the menu, like peel and eat shrimp and New York strip loin. But even when it’s not a holiday, it’s still a special day and a GREAT day for a fabulous brunch! Get your friends together and join us for Mexican brunch near me in Dallas at Iron Cactus Mexican Grill & Margarita Bar. You will find Iron Cactus located in downtown Dallas at 1520 Main Street, Dallas, TX 75201. In News, Brunch Near Me In Dallas Tagged Mexican Brunch Near Me in Dallas, brunch near me in dallas Bookmark the permalink. Are you looking for the best brunch buffet in Dallas, stocked full of your favorite breakfast and Tex-Mex favorites, plus a carving station and custom omelet station? If so, you need look no further than the Iron Cactus Mexican Grill and Margarita Bar. At the Iron Cactus, you’ll find all your favorite dishes for brunch near me in Dallas, all at a price that will put a smile on your face. 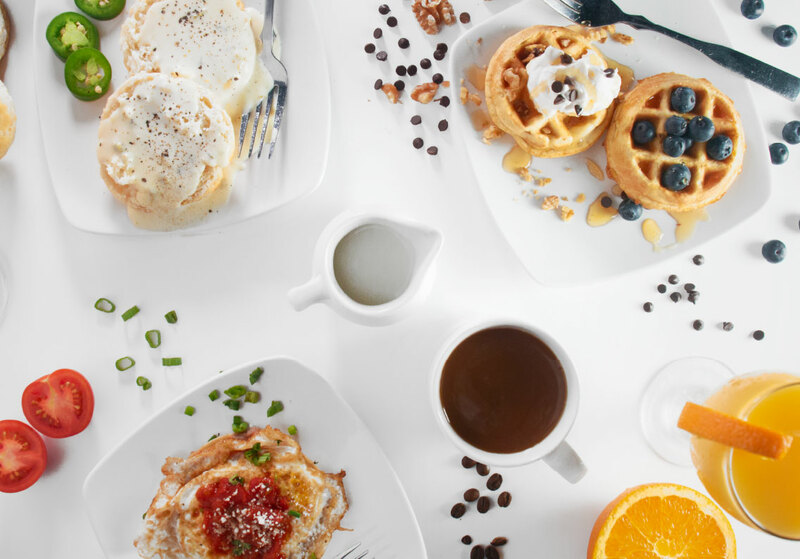 Plan your Sunday brunch near me in Dallas today by getting all your friends on board with the plan. If your friends balk at the idea of an amazing all you can eat brunch, make sure and let them know that all the great brunch offerings at Iron Cactus can be yours for the low price of $15.99. That will leave everyone with enough money left over to check out a movie after you eat! Never forget that the Iron Cactus brunch is easy on your wallet and reliably delicious. Why not take advantage of the great summer weather for your brunch near me in Dallas? Try and grab a patio table and soak up that summer sun! If you’re worried that it might be a bit too warm outside, the Iron Cactus has your back. You will find fans and misters all around to keep things comfortable on even the warmest summer days. The dining options are practically limitless for your Iron Cactus brunch near me in Dallas. In the mood for something sweet? Grab a fresh-made Belgian waffle and top it with your favorite fruits and syrups! Maybe you would prefer something savory. If that’s the direction you’re leaning, then grab some chicken fajitas with all the fixin’s! You’ll also find tamales, tortilla soup, grilled vegetables, southwestern mac and cheese, salad and much more! The dining, the price and the atmosphere all come together to create the prefect experience for a brunch near me in Dallas. And you’ll find no better place for that brunch than the Iron Cactus. We look forward to seeing you this weekend for a fantastic brunch! Brunch is served Sundays from 10am until 3pm and a special brunch is available on the holidays. In Brunch Near Me In Dallas. Bookmark the permalink. Another weekend is just around the corner, and with the summer sun set to bear down on us it’s time to consider the best way to take refuge from the heat. There’s no finer way to cool off, relax and indulge your appetite than to hop on over to the best brunch near me in Dallas… the marvelous Iron Cactus brunch! Summer also means you’re always right around the corner from one of our signature holiday brunches. Holidays like Mother’s Day and Father’s Day get the extra special treatment at Iron Cactus. We take our usual brunch menu and turn it up to 11 with more extensive selections, including items like peel ‘n eat shrimp fresh from the Gulf, Braised Puerco Verde, Hickory Grilled Salmon and a fan-favorite, our Peppercorn-Crusted Roast Beef! You’ll find these signature specials plus much, much more waiting for you at the Iron Cactus holiday brunch near me in Dallas. Remember that the Iron Cactus brunch is definitely different from your typical brunch fare. On any given weekend at this brunch near me in Dallas, you’re bound to find hot, fresh waffles and an omelet station, but you’ll also find the best Mexican favorites as well! Enjoy tamales, enchiladas, huevos rancheros and so many more regional favorites here at the Iron Cactus. Don’t forget about the best way to cool down on a hot summer day, with a refreshing mimosa or signature cocktail from the Iron Cactus bar! Open your eye and your palate with a tasty, bubbly Texas Sunrise or a sweet, crisp Dulce Berry Smash. These delicious drinks will help start your day in the most amazing way! The best brunch near me in Dallas is waiting just around the corner from you. Come enjoy the Iron Cactus brunch this weekend. Find us at 1520 Main Street or online anytime at www.ironcactus.com. If you’re looking to discover a true downtown gem for a most incredible meal, then the brunch near me in Dallas for you is at the Iron Cactus Mexican Grill & Margarita Bar. Here, you’ll find all of your brunch favorites like waffles and omelets alongside the incredible traditional Mexican flavors you would expect from a quality Mexican kitchen. Why not take the opportunity this weekend to check out the many standout dishes (and drinks!) that await you at the Iron Cactus? The second you walk in the door to the Iron Cactus, you’ll know you made the perfect choice for brunch near me in Dallas. You’ll be captivated by the smell of fresh homemade tortillas being cooked just for you. As you take a seat in our 14,000 square foot restaurant, you’ll realize there’s more than enough room to accommodate you and your friends for a delicious brunch. Frankly, we wouldn’t dream of having it without you! As you begin to weigh your dining options, our friendly wait staff will help you figure out the perfect beverage to set the tone for your day. And whether that’s a refreshing bubbly mimosa, a tangy Bloody Mary or a sweet and tart margarita, our staff will make sure to find you the best beverage to pair with your mouthwatering meal. Don’t just try any old restaurant for brunch near me in Dallas this weekend. Make your choice the winning choice… choose the Iron Cactus. We’ll be waiting to serve you and put a smile on your face! Find us downtown at 1520 Main Street, Dallas, TX 75201 or look us up online anytime at www.ironcactus.com. In Dallas Mexican Restaurant, Mexican Restaurants Near Me, Brunch Near Me In Dallas. Bookmark the permalink.